In addition to whom to support for public office, it’s important to consider how we select candidates for public office. I wrote previously that in 2008 I voted for Mitt Romney but now I prefer Ron Paul. I believe there are strong principle-based reasons to support someone like Ron Paul. Now that Romney is the GOP nominee, I want to share some observations about the nomination process itself. The nomination process has implications for whether we operate like a republic or like a pure democracy. Prior to the 17th Amendment, U.S. senators were selected by state legislatures, not by the direct vote of the people themselves. The House represented the people; the Senate represented the states. The 17th Amendment made Senate selection equivalent to House selection: by direct vote of the people. I would repeal the 17th Amendment…. If you read Madison’s notes from the constitutional convention, they spent more time arguing over the make-up of the federal government and they came up with the federal table. There would be three entities at the federal table. There would be the nation as a nation, there would be the people, and there would be the states. The nation as a nation is the president, the people is the House of Representatives, and the states is the Senate, because states sent senators. Not the people in the states, but the state government. When the progressives, in the Theodore Roosevelt/Woodrow Wilson era, abolished this it abolished bicameralism, the notion of two houses. It effectively just gave us another house like the House of Representatives where they didn’t have to run as frequently, and the states lost their place at the federal table. That was an assault, an invasion on the infrastructure of constitutional government. Even kings in Europe had to satisfy the princes and barons around them. And that’s how…their power was tempered. Historically, most states used a caucus system. Over time, many states have shifted to a primary system. Now, only 10 states rely entirely on a caucus. The primary system allows you to express preference. The caucus system allows you to express preference and intensity. We elected 3 of 3 precinct delegates (and 2 of 3 alternates) to support Ron Paul. My bias speaking: Ron Paul supporters in my precinct were far more enthusiastic about their candidate than the others were for their candidates. 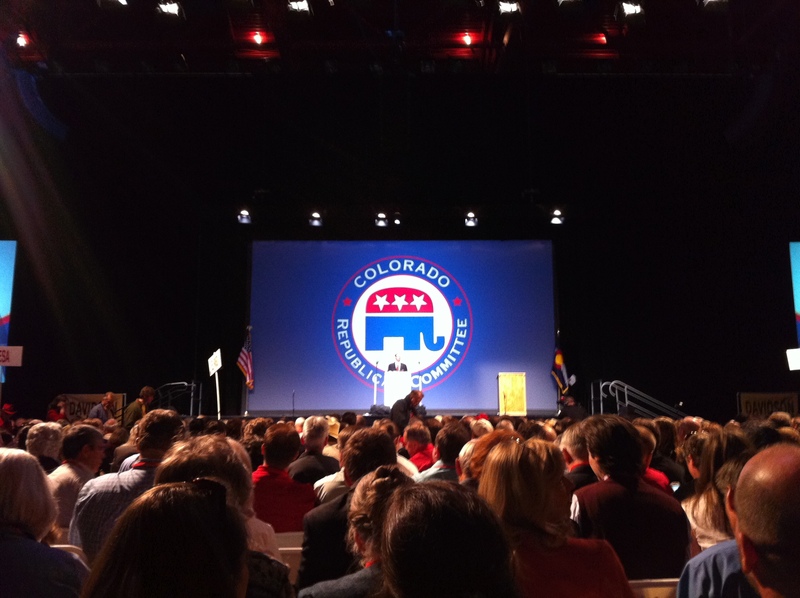 On March 24, I attended the Boulder County Assembly as a delegate from my precinct. Among other things, we elected delegates to represent our county at the State and Congressional District assemblies. On April 13-14, I attended the Congressional District and State assemblies as a representative of my county. My perception was that the delegates were among the most informed and most passionate supporters of their candidates. A caucus system causes a bubbling up of informed citizens. Not to say these delegates were perfectly informed, or that any one candidates’ delegates were more informed than any others’, but these were the most informed of the Mitt Romney supporters, the most informed of the Gingrich supporters, the most informed of the Ron Paul supporters, etc. To some degree the caucus system filters for indifference and ignorance. The United States is a republic, not a democracy. Pure democracy can be dangerous. Our selection of candidates either by primary or by caucus has implications for “what we get” through our political system. An early draft of this post was accidentally published and retracted earlier this week. Excellent article Richard. I’m somewhat new to the political process. There is so much to learn, but you really nailed an important concept in this article.